Director Kimberly Peirce and screenwriters Lawrence D. Cohen and Roberto Aguirre-Sacasa bring Stephen King's classic Carrie back to the big screen. 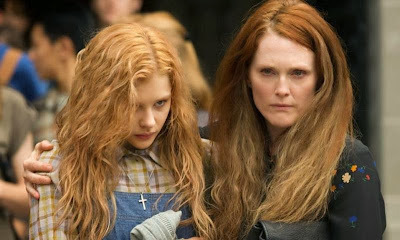 The iconic teen and her mother are, this time around, brought to life by Chloë Grace Moretz and Julianne Moore. Margaret White's (Moore) troubled life has led her to take on a ritualistic passion for her religion and has raised her daughter Carrie in a very strict manner based on those beliefs. Carrie herself has grown up blindly following her mother's teachings although a desire to fit in with the "normal" high school crowd has begun to have an affect on the maternal stranglehold that has completely shaped her life up to this point. After a traumatizing moment in Carrie's life is made even worse by a group of cold hearted classmates, she begins to realize that she may have a special ability brought on initially by emotional stress. As she begins to look into this strange power and where it might have come from, Carrie is given an amazing opportunity by a couple fellow students who are hoping to make up for how she has been treated. Sue and Tommy are sure to walk away with the king and queen titles at the upcoming prom, but Sue backs out of their date and asks her boyfriend to take Carrie in her place. Carrie accepts the offer and sees it as an opportunity to show her mother she can be a normal girl but is still skeptical that the whole thing might be yet another trick leading to everyone laughing at her expense all over again. 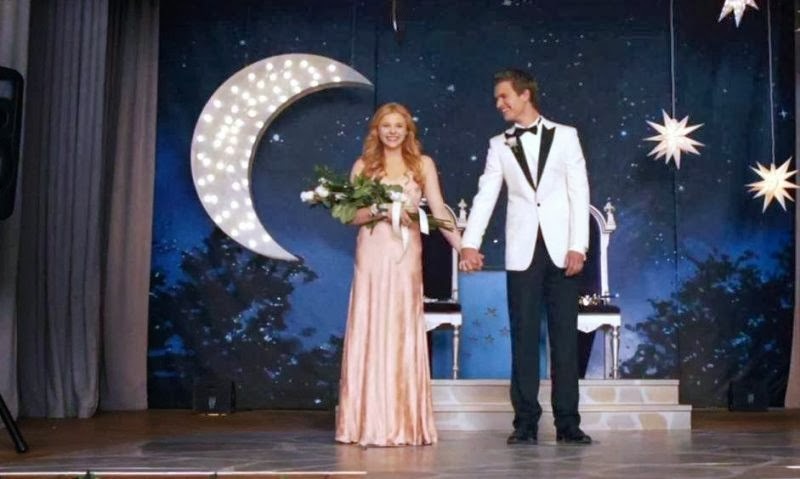 With the prom stage literally set up perfectly for a most memorable night, a group of students looks to add their own twist to the fairy tale ending but have no idea what they may be setting themselves up for. I remember watching the original Carrie many years ago, but I honestly don't remember enough of it to make a fair comparison. Sure, there are the iconic images of Carrie soaked in blood and her mother acting bat poop crazy and this new version does its very best to bring all of that back to the screen. Casting the two leads is critical to the movie's success and having both Chloë Grace Moretz and Julianne Moore filling those roles was just about the best thing that could possibly happen. They nail the emotional roller coaster each character takes us on and they end up being the only strong points in an otherwise generic run through such a well known story. 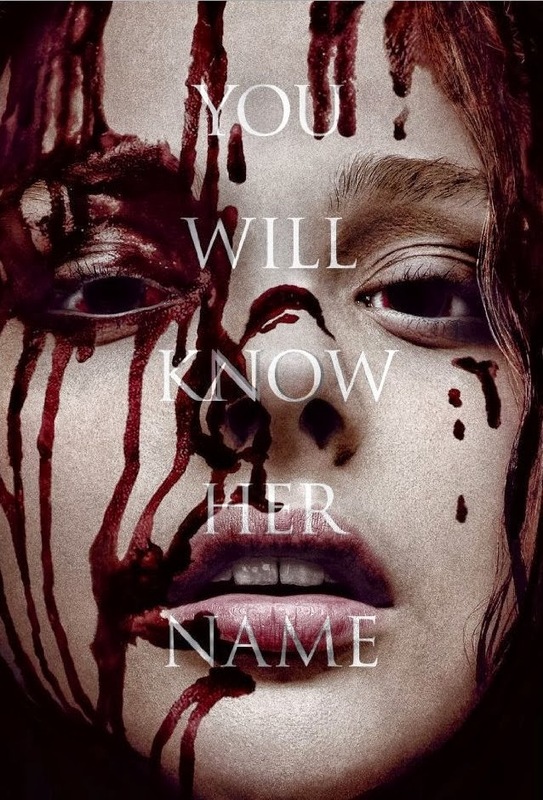 Carrie is a fairly entertaining movie, although having a director with no experience in the genre really didn't help matters much. The story is solid, the proper actors are in place, and even the special effects are up to par, but the intensity and shock value needed for this type of movie to work just isn't there. Without being able to recreate the emotional impact or creepiness factor that made the original so good, this version unfortunately falls far short of classic horror movie status.